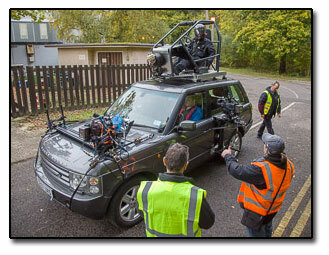 2015 saw me working again as both Camera Supervisor and cameraman on BBC TV's EastEnders. This year was the 30th anniversary of EastEnders first episode, so the early part of the year was full of anticipation and preparation for a week of live episodes in the first week of February. 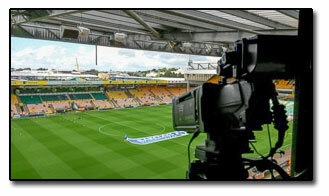 All of the regular crew were involved in the live production to a greater or lesser extent. As I was supervising a week of programs where the two week production schedule wrapped around the live week,so my involvement in the live episodes wasn't as great as in previous year, but I did have to work for four straight weeks. The rest of year was spent with the usual sort of challenges above and beyond the normal studio work; Night shoots in the freezing cold on the roof of the Queen Vic, shooting on the hottest two days of the year on an airfield with no shade, fitting cameras into a stunt car to get the driver's point of view of a car crash when the car rolled through 360 degrees. July saw the tenth anniversary of the terrible terrorist bombings in London in 2005. 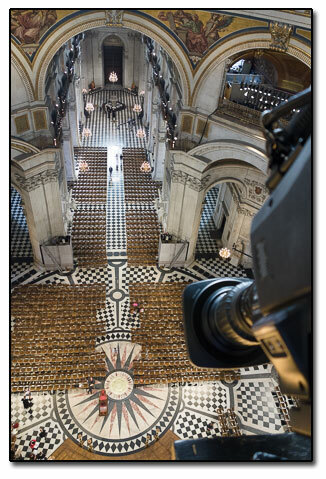 A service was held at St Paul's cathedral to commemorate the event and was televised by BBC television. It's always a privilege to work on such important national events and all the crew are very respectful of the solemnity of the occasion and the need to deliver a perfect programme. Working in such a historic and important buildings as St Paul's requires great care to avoid any damage to the structure of the building. 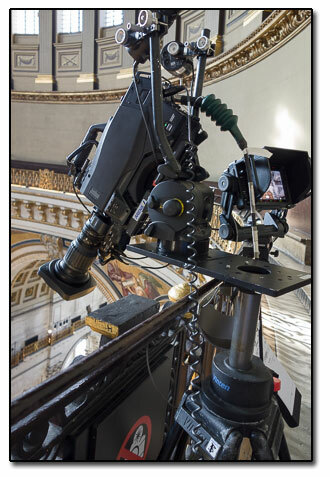 I was asked to work on a camera in the whispering gallery high up in the dome of St Paul's. This location gives the spectacular overhead shot looking down the nave of the cathedral, one of the iconic shots of British television. To just get the camera and it's support equipment to the gallery takes quite a degree of effort carrying it up the 250+ steps of the medieval spiral staircases. Safely rigging the equipment over the 100ft unprotected drop to the floor requires the greatest care and a degree of improvisation as well. 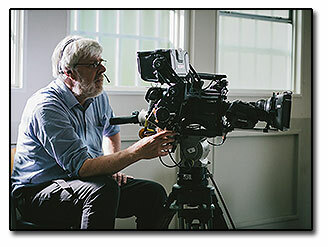 It's only very rarely that a camera has to be tilted down to shot almost vertically downwards, so much of the normal set up of viewfinder and pan bars needs to be rigged in unusual positions, plus there's a need to securely bond everything to prevent any possibility of anything falling to the floor below. 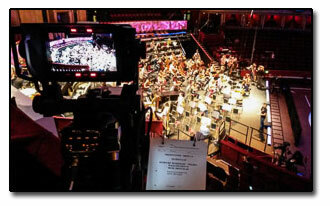 Working on the Proms in summer is an annual treat now, a grand location, working with some of the nicest people in television and helping bring great music to people. Although it may sound like a holiday, it still requires stamina and concentration. The days are often very long because of the orchestra's schedules and with little rehearsal and live reording there's no room for error. The 'Horrible' series of children's books brings subjects like history and science to life showing the 'messier' sides of their subjects that has had a great appeal for school age children. The first series of Horrible histories had been hugely successful, so I jumped at the opportunity when I was asked if I'd like to work on the new series of Horrible Science with One Box television. 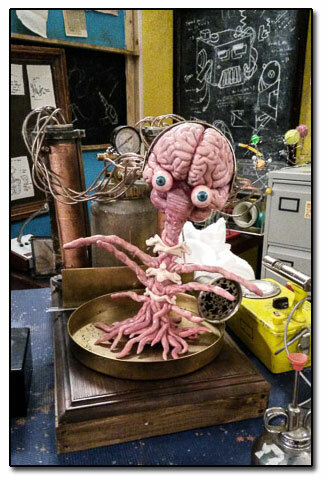 Children's TV is always fun to work on and Horrible Science was no exception. The cast were good humoured and everyone had a laugh at some of the outrageous costumes some of the sketches needed. I was delighted to be invited to work back at Garsington Opera again in 2015. Last year's recording of Vert Vert had been very well received and this year their production Mozart's Cosi Fan Tutte was chosen to be recorded. Cosi Fan Tutte is an opera I know better than most as I was lucky enough to work on Jonathan Miller's television production of it made at BBC Television Centre back in 1986. 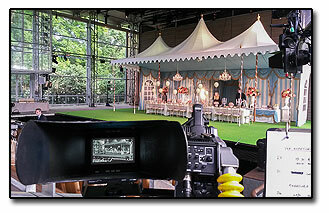 Cosi fan Tutte can be a challenging opera to work on as a cameraman as the main characters appear in two different roles in disguise. Spotting the correct person can be tricky as the opera progresses. We prepare for this by attending a dress rehearsal some weeks before the recordings and then watching a 'scratch tape' recording of the rehearsal immediately before the performance. As in the past two years the recording went very smoothly due to the excellent preparation and scripting of our director Sonia Lovett. We're all looking forward to a return to Garsington again in 2016. Whilst it's nice to be able to display some pictures of the programmes I've worked on, it's not always possible. So here a few other programmes I worked on this year.